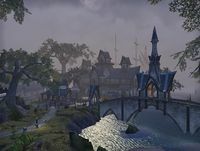 Velyn Harbor is a large port town in western Malabal Tor, north of the Greenshade gate. When you first arrive, the city is under attack by two forces, Ra Gada warriors and Drublog Wood Orcs and there are no services available in the city outside of the Outlaws Refuge. 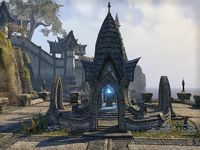 You will need to complete the House and Home and One Fell Swoop quests in order to restore normal services. 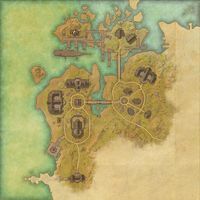 Velyn Harbor Objective: Free Velyn Harbor from Drublog and Redguard invaders.